Setup the drill as shown. Players sprint to the first pylon (black lines). 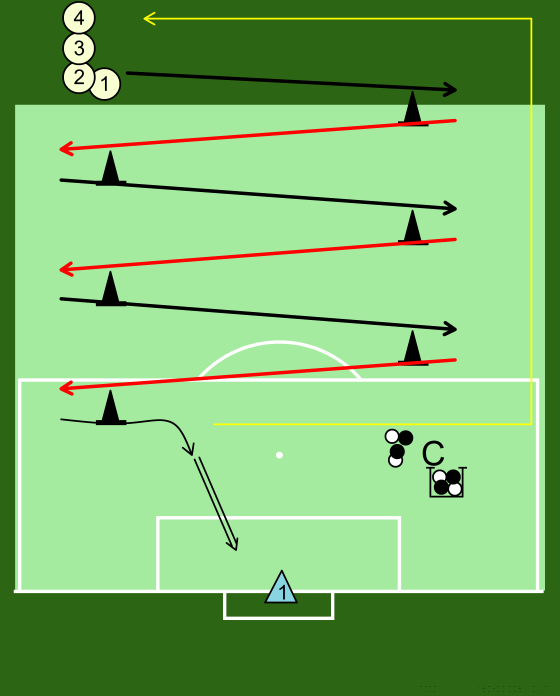 Then run backwards to the next pylon (red lines). Repeat until the last pylon. After the last pylon, the players receive a pass from the coach, shoot and then continue for another round. Use a ball from the beginning (dribble). Change the movement pattern, side steps, Indian steps etc.